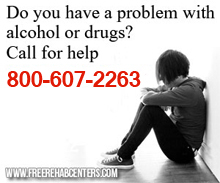 Quakertown, PA Free Treatment Centers, Affordable Rehab Centers. Women For Sobriety is a self-help recovery program for women alcoholics. They offer a thirteen statement program of positivity that encourages emotional and a spiritual growth. Women are able to share their experiences and hopes with other recovering women. Women for Sobriety, Inc. is a 501(c)3 not-for profit organization and we welcome donations to support our services.